Pediatric physical therapy provides interventions that improve gross motor skills in children. Physical therapy increases a child’s independence through developing functional mobility and allows them to explore in a safe environment. 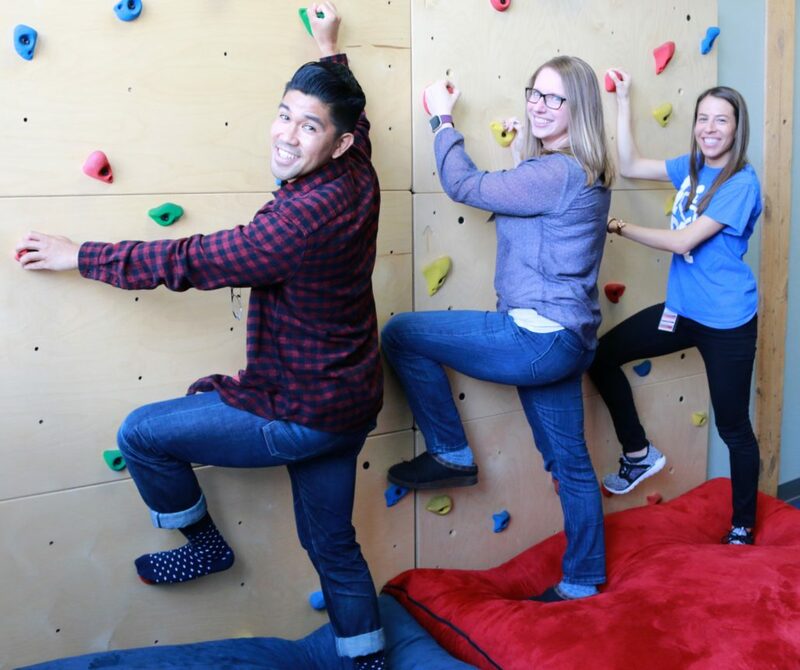 Blue Bird Day has physical therapists on board in addition to physical therapy assistants. Each team member has a unique specialty of focus that allows for treatment plans to be tailored to each child. Dr. Jennifer King, our department head, specializes in pediatric toe walking, orthotics management, and kinesiotaping. Dr. Alexandra Schweizer specializes in Torticollis, Plagiocephaly, DIR/Floortime, Cerebral Palsy, Down syndrome, Intentional Relationship Model and motor delay. Dr. Stephanie Barkan specializes in Kinesiology taping, Neuro-Developmental Treatment (NDT), Pediatric Equinus Gait (toe walking) Intentional Relationship Model and DIR/Floortime. Dr. Alan Rodriguez specializes in Functional Movement Techniques (FMT) for Kinesiology taping, Intentional Relationship Model and DIR/Floortime. Dr. Katie Massey specializes in Torticollis and plagiocephaly, Intentional Relationship Model and DIR/Floortime. Dr. Jenna Urbaniak specialties in Autism, Cerebral Palsy, Downs Syndrome, and Pediatric Developmental Disorders. Dr. Carolyn Stoesser specializes in Autism Spectrum Disorder, Cerebral Palsy, Developmental Coordination Disorder, and DIR/Floortime. Dr. Louisa Risetter specializes in Movement Science. Byron Broderick specializes in Pediatrics. 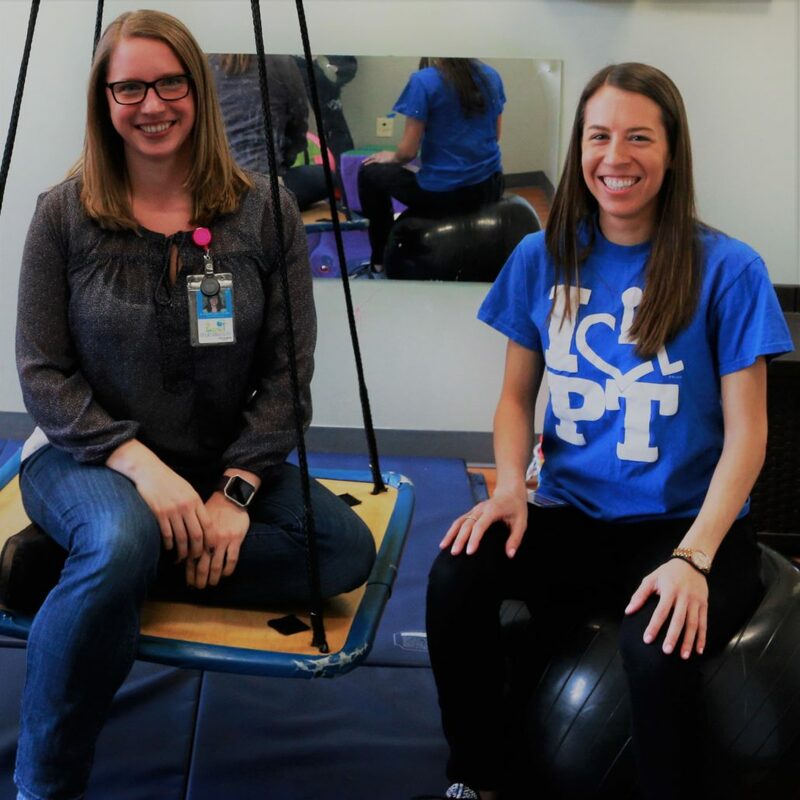 Together, the Physical Therapy team seamlessly collaborates with each child’s therapeutic team to address best practices for comprehensive treatment plans. How is Physical Therapy incorporated into the day? 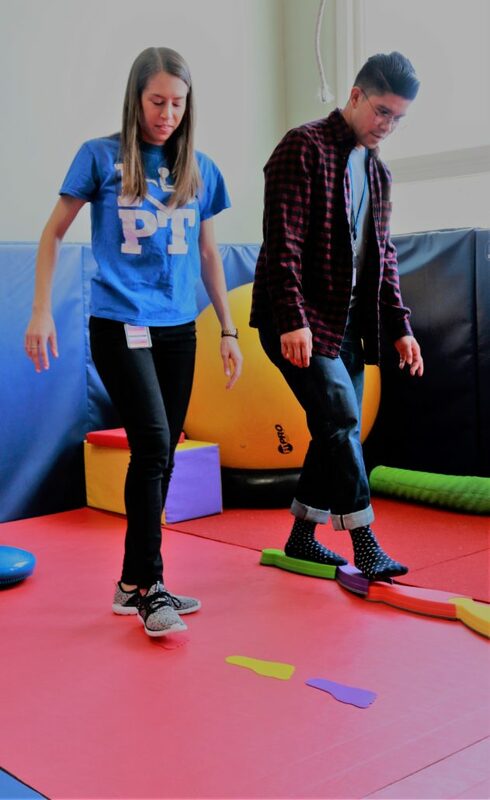 Physical Therapy is a part of each child’s therapeutic rotation at Blue Bird Day and is an opportunity to interact with peers. In these rotations, gross motor skills are addressed using both structured and unstructured activities and are tailored to the abilities of each child. Many Blue Birds also receive individual physical therapy services where more individualized goals and skills can be addressed in a one-on-one setting. With both rotations and individual services, children are allowed opportunities to improve their gross motor skills in a variety of contexts with varying levels of support. 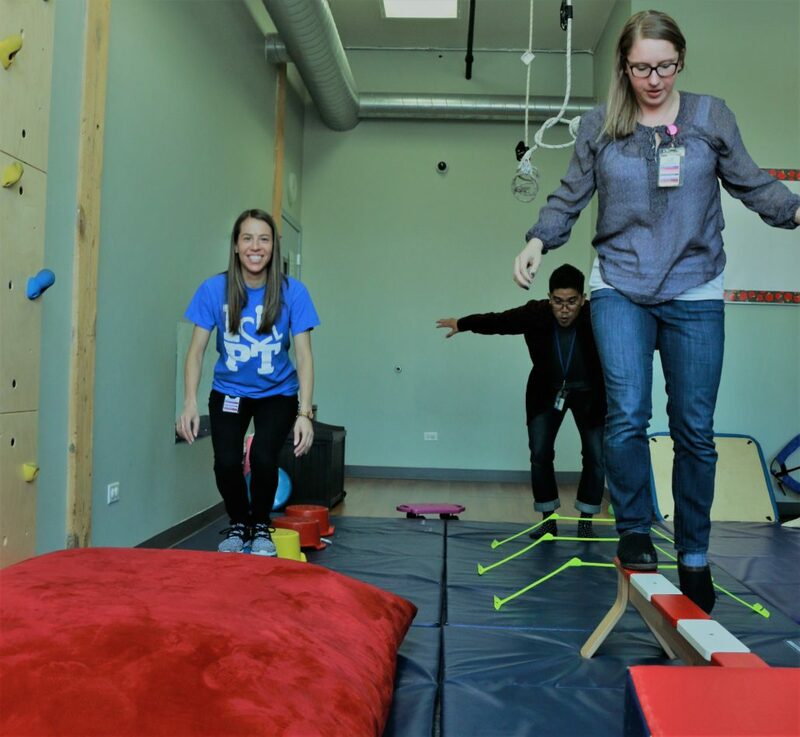 All physical therapists provide services in both rotational and individual settings, allowing them to gain a whole picture of the child and how their gross motor skills vary throughout these environments. 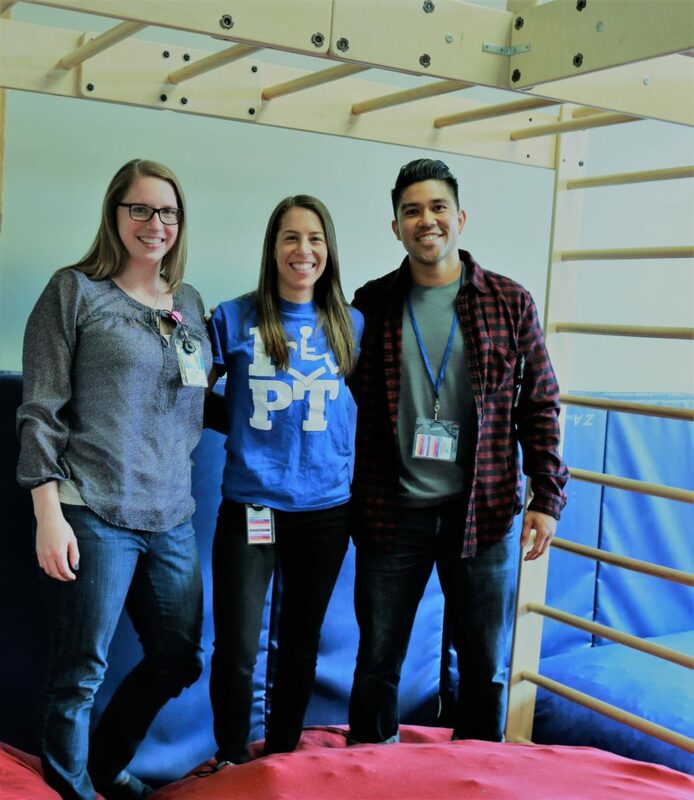 Physical therapists are challenging the children to improve in a physical way and therefore rely on the Intentional Relationship Model and a relationship-based approach for the best possible results. Therapists incorporate a variety of techniques in order to facilitate a relationship with each child. These techniques could be finding a preferred toy, singing a favorite song, or incorporating a preferred piece of equipment into the session. DIR/Floortime allows the physical therapists to follow the child’s lead, ultimately leading to more favorable therapeutic outcomes. Additional theories, such as Neuro-Developmental Treatment, Motor Control, Motor Learning, and Motor Skills Acquisition, provide the evidence-based approach to the practice. 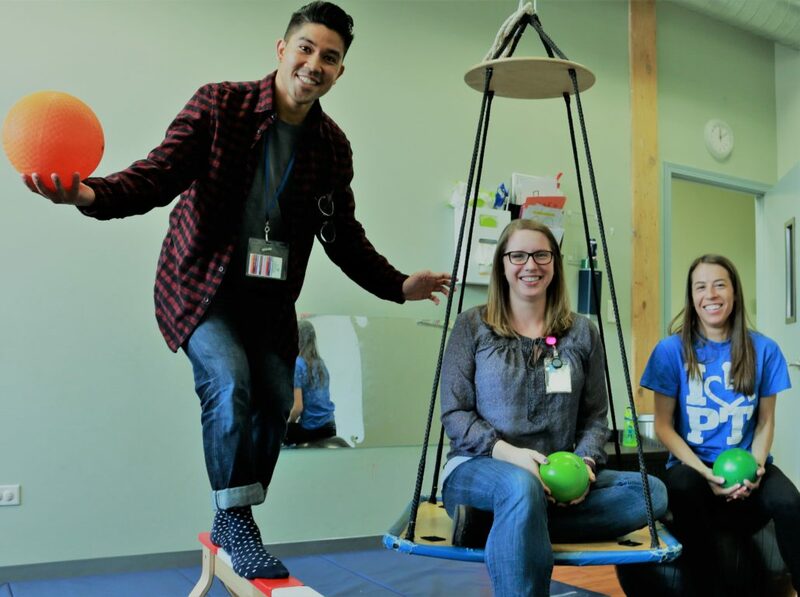 Blue Bird Day is equipped with large exercises balls, swings, balance beams, playground balls, bean bags, scooter-boards, dyna-discs and many other items that make physical therapy enjoyable for each child. Blue Bird Day’s physical therapist aim for a well-rounded approach to allow for the most successful outcomes. 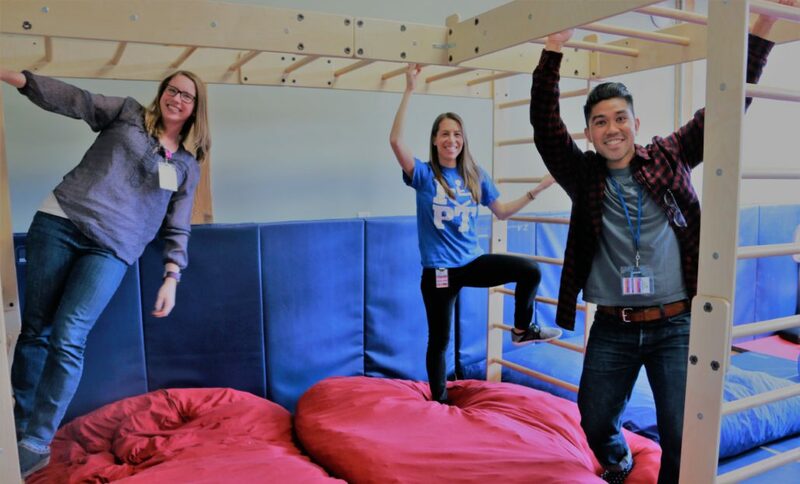 Blue Bird Day’s Physical Therapist focus on improving a child’s independence and functional mobility so that they may independently and safely explore their environment. Additionally, physical therapists support other areas of development, such as communication and learning, by providing the strength and coordination necessary to improve in these areas. 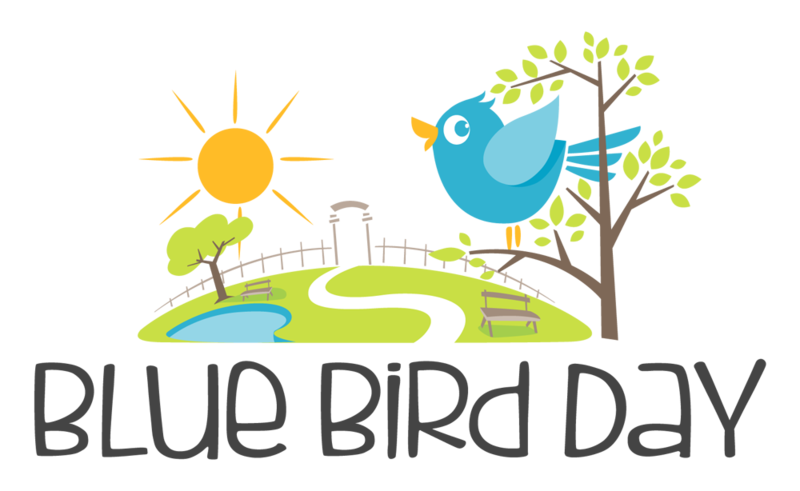 Blue Bird Day’s therapists understand that there are many factors that make each child unique and they treat each child as a whole. They are cognizant of these characteristics and tailor each treatment session to meet the child where they are at and provide them with the supports they need to succeed. By seeing the complete picture and adapting treatments to fit individual capabilities, goals are reached and progress continues.